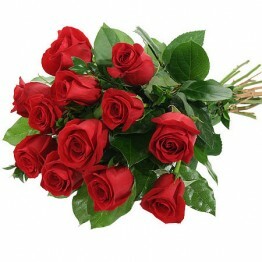 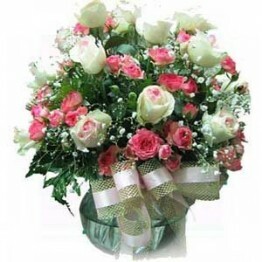 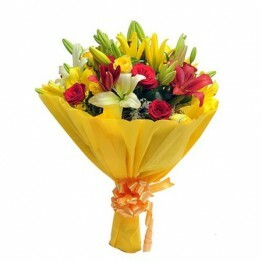 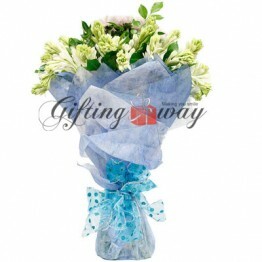 Send this beautiful Hand tied flower bouquet to your beloved to make her feel elated. 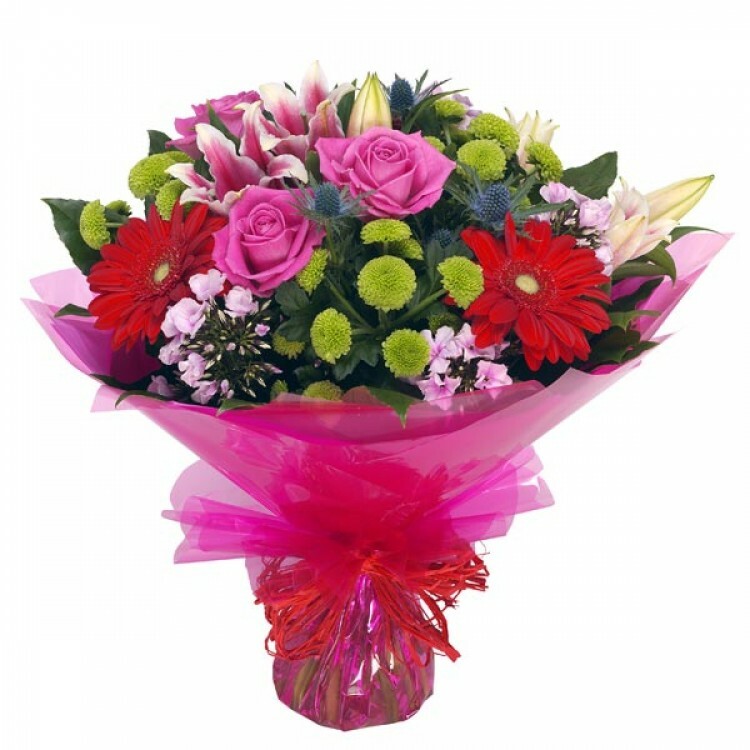 It’s decorated with red, pink and green Including pretty roses, vibrant gerberas and lilies. 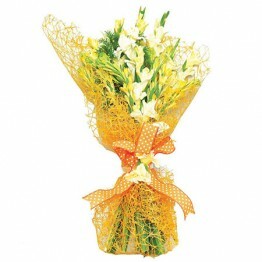 Expertly designed using the finest fresh flowers, make for this beautiful bunch.